My friend and I managed to get tickets to watch Iron Man 3 one day before it is supposed to come out, so here is my review (spoilers free of course). 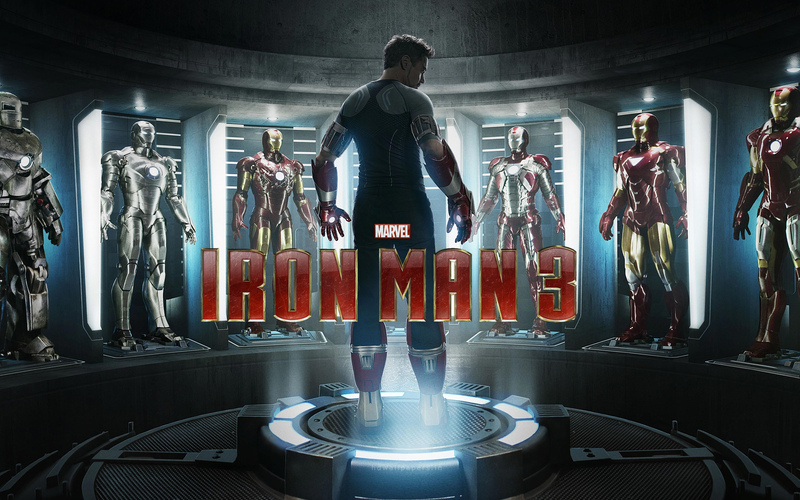 The movie takes us back into Tony Stark’s past– back to 1999 to be exact. We once again see Tony in his partying days, where he basically pisses off everyone he meets by being an arrogant, stuck up billionaire. Here, we meet Aldrich Killian, who tries to get Stark’s attention as he has an idea he wants Stark to help fund. Of course, Stark brushes him off, and in anger, he decides to seek revenge, working with a mysterious character who calls himself The Mandarin. I must say, I love Pepper more than ever in this film. That was an overly simplified version of the movie, but I will say that it was very funny. There were lots of laughs throughout the film and I enjoyed it. One thing I really liked was how they humanized Tony Stark. Sure, he is Iron Man, but following his encounters with aliens back in the Avengers, and the knowledge that there was so much more out there, we now see Tony getting panic attacks because of his experiences. Really, this is to be expected for anyone who has to go through such a stressful experience, but we usually forget that superheroes can be affected by stuff like this. It really helps us relate, even if just a little, to these big guys. So huge props to whoever made that part of the story. I wonder what will happen with Robert Downey Jr’s contract, as it expires after this movie, but I am sure they will work something out with him for the Avengers 2. This movie also leaves a little to be questioned… and I will leave it at that since I do not want to spoil anything. Iron Man 3 comes out tomorrow, and I would recommend seeing it for some light superhero action, coupled with some great laughs! Plus, Robert Downey Jr. and Gwyneth Paltrow are beautiful people. Stan Lee’s cameo was funny as well! And yes, stay after the credits for a little Science Bros action (Tumblr reference, sorry!). Liked it a lot more than the second one, but the first will always rank highest in my book. Nice review.